Gone are those long blonde tresses! Ever since she was on Tim Robards' season of The Bachelor, Ali Oetjen and her long blonde locks have been giving us hair envy. But now that she's shacked up with her dream man, the former Bachelorette has opted for a new look and we think she looks radiant! 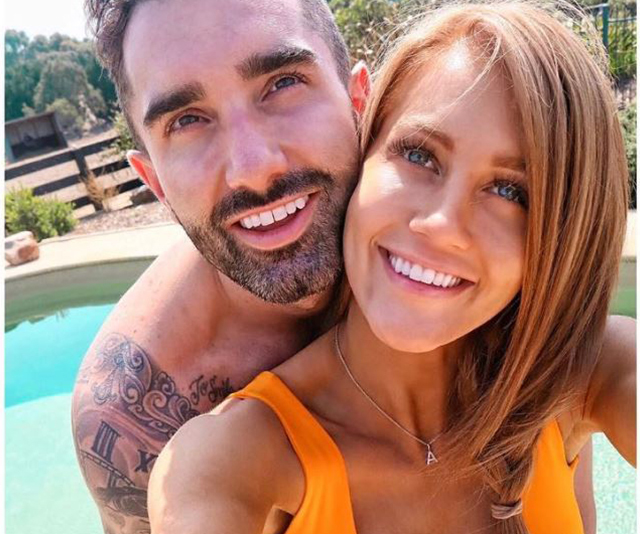 HairMarried At First Sight's Lizzie has chopped all her hair off! Taking to Instagram over the weekend, Ali shared a picture of herself and her main man Taite Radley for his birthday. "🥇My man turns 29! Surprise countryside getaway 🤙🏽🐎🌊☀️Love you more than words 💌 #happybirthday #torquay #chillvibes #myking," she penned. And while the two continue to look super loved-up, it was her coppery red hair that had her followers commenting. "You look gorgeous. That hair colour suits you so much," one person wrote. "Your hair looks so good! It brings out your eyes," said another. "Love the new hair colour @alioetjen - fresh and certainly suits you too," another wrote. Swipe across and check it out for yourself below! Ali and Taite celebrated Taite's big day with a weekend getaway to Torquay, Victoria where they indulged in wine tasting, walks along the coast and plenty of romantic photos. The birthday boy shared the below photo with the caption, "Twenty9 weekend getaway thanks 🙏🏽 @alioetjen." Sounds like the pair have worked through their bumps and are no longer on the verge of a break-up. The former Bachelorette may be getting plenty of social media love for her latest snap about her hair but it hasn't been plain sailing. After she was criticised for uploading an "edited" picture to Instagram, Ali shared another photo of herself make-up free with tears in her eyes responding to the trolls about how their comments have affected her. The 32 year-old reality star also acknowledged that the photo had been edited because she didn't think the original was "good enough." "This is me at this VERY moment, no make up, no filters or edits and I'm scared s---less to upload it, but want to so I prove my point that real is better, to share with you that I'm nowhere near perfect & that we all have similar feelings," she wrote. Ali went on to say, "This isn't a post for anyone to feel sorry for me BUT it IS a post to inspire women to know that we're all good enough Just. The. Way. We. Are & we're all in it together!!!!!" "We all share the same feelings & energies surrounding body image, self image, self love and we all know it comes down to our inner light & inner beauty. I'm not flawless, I'm not perfect, I don't love myself everyday the way I should but I try & control my thoughts & resort back to knowing my worth."